Remarks: I’ve already written a lengthy review about the first Animated Shockwave, so only some words on the differences here. Also, a little clarification right at the get-go. The name of this toy – as in: the name the owners of the Transformers franchise put on the packaging – is: Shockwave – Original Version. 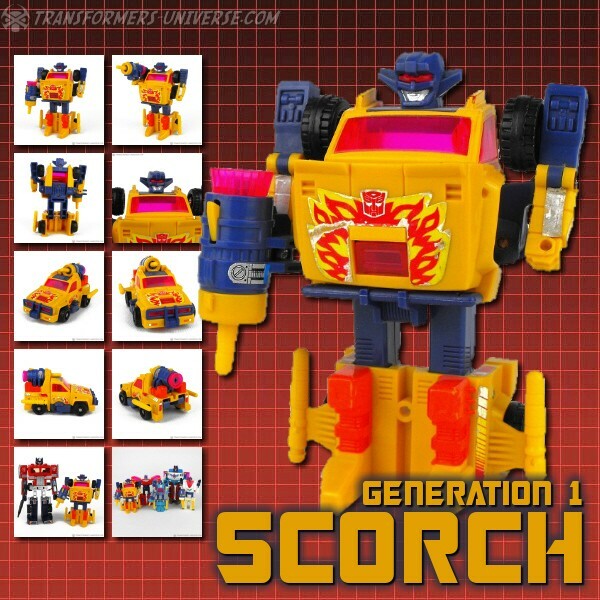 When I first put up the picture gallery for this guy and had the gall to give it the same name as the toy, I incurred the wrath of quite a few angry fanboys. How dare I call this toy the ORIGINAL Shockwave? The original Animated Shockwave was grey, damn it! This is merely a stupid repaint, after all, so by what right do I try and convince some poor, confused fanboys that this here is in fact the original Shockwave toy? To this I can only say: learn to read! And not just the flashy headlines or the cool buzzwords, but the actual sentences people write down. I dare call this toy here Shockwave – Original Version because IT SAYS SO ON THE PACKAGING! You don’t like it? Put it in your latest angry fanboy blog entry about how Hasbro and Takara-Tomy can’t do anything right and should put “real fans” in charge of this franchise that has been going strong for 30 years so it won’t be ruined forever. I hope this clarifies things. This toy here is a repaint of the grey Shockwave toy in Shockwave’s “true colors”. Near the end of the Animated series when Shockwave rejoined the Decepticons after a lengthy undercover stint among the Autobots, he immediately changed his paintjob to the purple coloring we all remember from the original G1 Shockwave, referring to them as his “true colors”. Thus establishing that Shockwave originally looked like this before he began his undercover mission. Thus making this the ORIGINAL VERSION of Shockwave in terms of the cartoon series. No changes to the figure apart from the new paint job, meaning it’s still the excellent toy it was before with two pretty different-looking robot modes and two separate if not-quite-different-looking vehicle modes. Engineering-wise probably the best Animated figure of them all and still fully recommended. There were actually two ways you could get your hands on this repaint. This one here was sold individually in Japan, while another purple repaint was sold as a store exclusive together with Activator Bumblebee. Either way, Animated Shockwave is a great figure and unless you’re completely opposed to the Animated style of toys, at least one version of this Decepticon undercover spy is a must.